We don’t know about you but, when the product’s information page begins with the statement “designed with performance in mind…” we keep reading. Holley is a go-to for us (and for many others, we are sure), so when we hear this statement, plus “new product” and the word “Holley” all together, we get pretty excited. 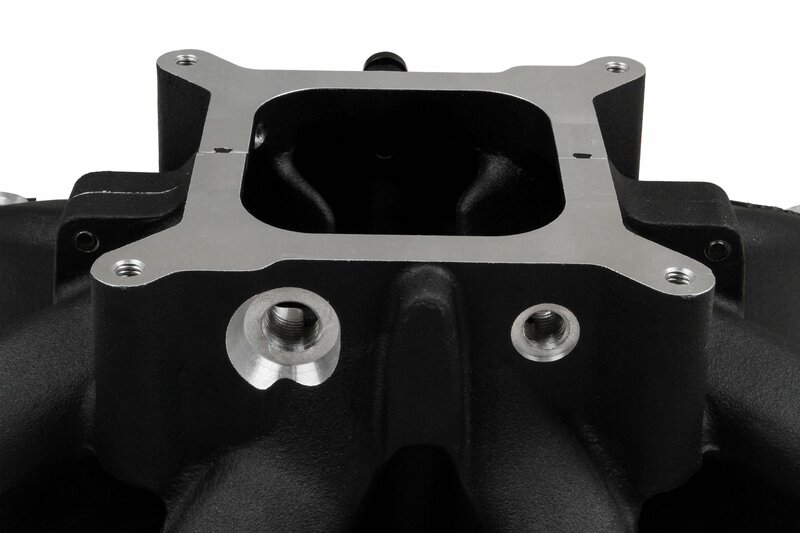 They recently announced a brand new offering they’re calling the Single-Plane Split-Design EFI Race Intake Manifold. A mouthful, we know. 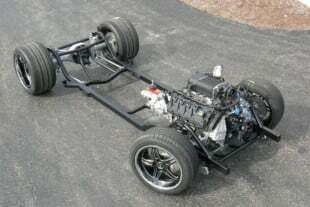 But, if its like Holley’s other manifolds, it will make up for its hard-to-say name quite quickly. Its race-bred design was previously only found on the most high-end and pricey race intakes. But, Holley’s new design brings performance, style, lighter weight, and ease to gen three LS owners–at a cost of one-third to a half of the usual price. Made specifically for high performance engines with cathedral-port cylinder heads or 4150-style square-bore throttle bodies, they were designed for engines with 5.3 to 6.2+ liter displacement and maximum engine speeds of 6,000-7,000 RPM. Performance is delivered throughout a broad RPM range, while providing optimum power up to 7,000 RPMs. Offered in both a silver and stealthy black finish, they feature an A-B height of 7.32 inches (with a zero-degree carb-flange angle), making for plenty of clearance under the hood and fitment with cathedral ports 3.28 inches tall and 1.10 inches wide. Their “split” two piece configuration makes them super simple to disassemble when custom porting and port-matching is needed, while their shoulder-bolt locators and captured O-rings make precise reassembly easier than ever. Of course, billet fuel rails, O-rings, and all necessary fasteners are included with every purchase. For more information on Holley’s new Single-Plane Split-Design Race Intake Manifold, check out the video below or visit their website here.